Hey everyone! I am full on into warm and cozy cooking season with all of my favorite root veggies in abundance. 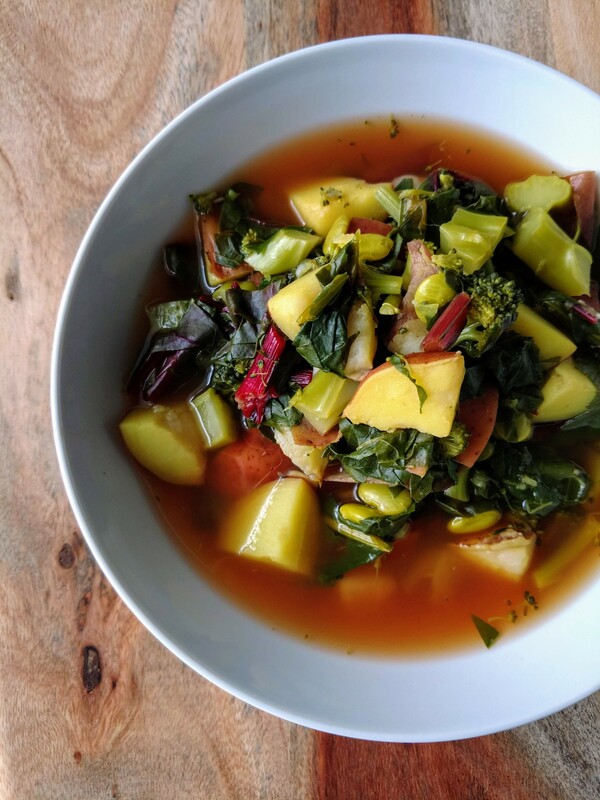 Soup or chili features prominently on my meal prep menu each week because there are just so many delicious variations to keep your palate pleased and belly full. 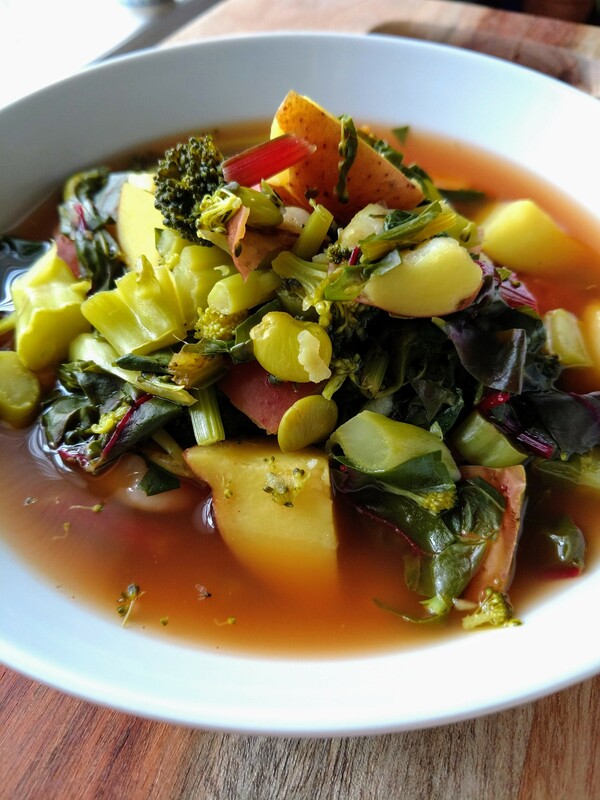 This week it was time for another twist on a classic potato and broccoli soup. As usual this was a pot full of my fresh farmers market goodies. Having such wonderful local produce continues to excite me every week. I knew the root veggies like potatoes and the broccoli are making a strong appearance right now, but I have been really surprised to continue to see the butter beans the last few weeks. They are definitely a big part of Southern cuisine, but if you do not have access to such lovely little beans then you can absolutely substitute what you can get locally. That is one of the best things about cooking--find inspiration from people all over the world and then cater your meals to what you have access to. On the spice front the smoked paprika totally stole the show for me in this meal. I love the richness that the bit of smoke imparts to really flavor the whole bowl. I've also been fighting the start of what feels like a cold, so I figured some turmeric would help add to the immune-boosting properties of a warm bowl of soup. So far it hasn't progressed, so perhaps it is doing the trick! If nothing else it does taste quite delicious regardless. Once the soup is done remove from heat and mix in the chard to let wilt. Mix the miso with a quarter cup of the soup broth so you don't end up with chunks of miso in the soup, then stir in along with the vinegar. Taste and adjust to your liking. Enjoy!